Perhaps the better question is, “How do I find the right business partner in Libya?” There are many people willing to be your business partner in Libya! Just sit down in any cafe and start asking around; I am sure you will have a number of people volunteer on the spot. But the point is not to find any partner, but the right business partner. The first way to find a good partner is to spend some time around Libya getting to know who is already running a successful business. If you find a business person with a good track record, you are looking in the right place. Once you have found your short list of candidates, schedule a business meeting to discuss your ideas and potential partnership. Referral System – does it work? In some counties, one of the best way to find a business partner is to work on the referral system. When using the referral system in Libya, I would make sure that you have multiple positive referrals for the candidates you are looking to do business with. In North Africa, many business contracts are won by who you know, not necessarily by is best for the job. Starting with positive referrals is a great place to begin, but make sure you cross reference these potential partners with a wide variety of people. For those of you who are looking for the help of a third party, you might consider working with a consulting company to find some candidates. By working with a company, you can set up the qualifications, expectations and partnership agreement before they even start looking for potential partners. Your consulting company can then vet any potential partners and give you a short list for you to sit down with. Previous Post Do I need to have a partner to do business in Libya? 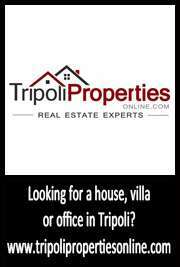 Next Post How do I find a house in Libya?